I’ve not taken as many photos this Christmas I usually do, for example, I totally forgot to take any photos at all on Boxing Day! I’m seeing this as a good thing, however, because it means I was enjoying the day with my family and not worrying about getting photos for the blog of social media. 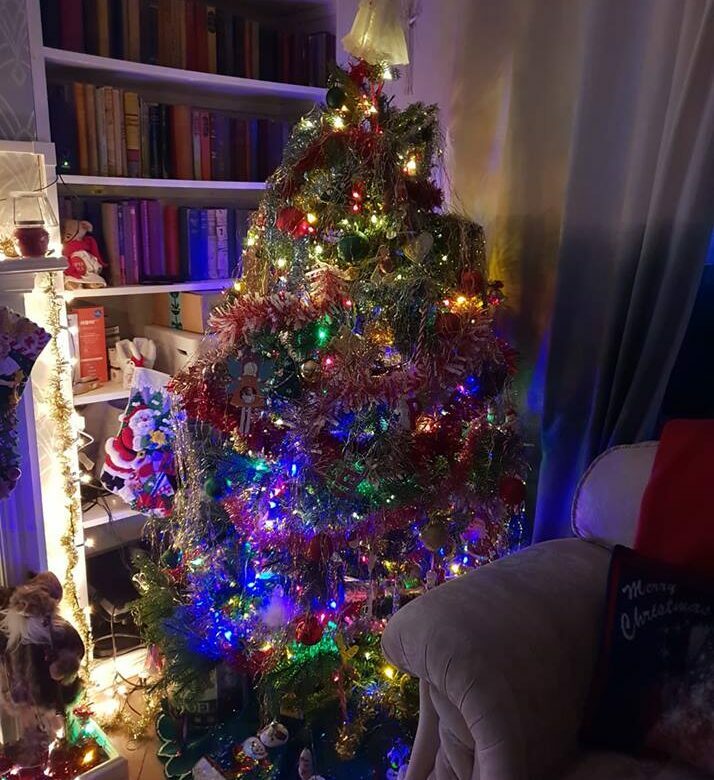 Here are my favourite Christmas photos taken in 2018. 2 – KayCee and Ella decorating the tree. Aiden helped but he doesn’t like his photo taken! 3 – Every year my Christmas mug collection gets bigger and bigger! 4 – I’m going to be very sad when I have to take down the tree. 6 – The North Pole breakfast is very popular! 7 – We have many ways to countdown advent! 8 – It took many hours to make this Christmas cross stitch but it was worth it. 10 – Our first family get together of the season. 11 – Our second family get together on Christmas Eve. 14 – My delicious Christmas dinner cooked by the super wonderful husband.